I am on a margarita kick lately. I hadn’t had one in years and all of a sudden I started wanting them again. I used to order plain margaritas. 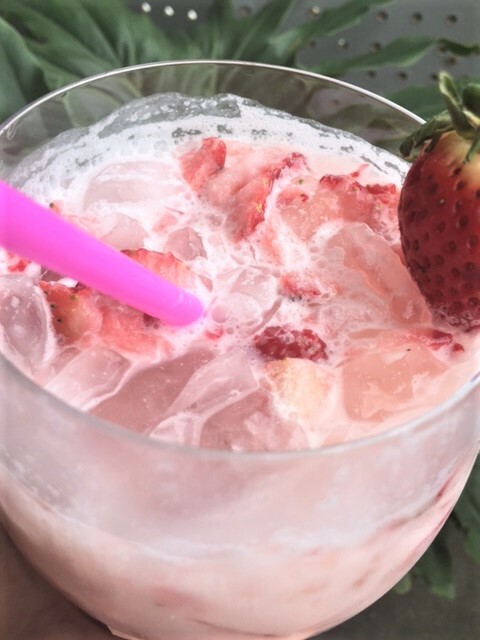 But now I like strawberry……blended, on the rocks….yum! Recently, I went to a restaurant that serves a house special margarita. It’s a coconut margarita, served on the rocks. They put shredded coconut all around the rim and it is delicious. It’s so refreshing and for some reason it seems to disappear quickly. Maybe it’s the sun that makes it evaporate or something. I mean, it’s there one minute and then all of a sudden it’s gone! I just don’t know how it happens! Anyway, I’m not all that crazy about coconut. It’s ok in small doses. But I am crazy in love with coconut margaritas. 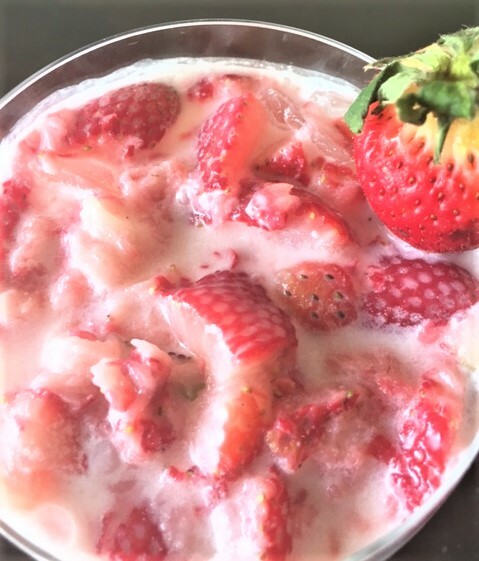 I happened to have some strawberries on hand so I thought I would add them to my homemade coconut margarita. Oh, holy crap these things are good. I mean like REALLLLLL good. If you don’t like tequila, these are delicious with vodka too….I just had to try it with vodka too. I did it for you all. 🙂 See how nice I am? Look how pretty this drink is…..
For the Margarita Mix: Heat the water and sugar just until the sugar is all dissolved. Remove from heat, add lime juice. Allow to cool. Store any leftover in a jar or bottle and keep refrigerated. 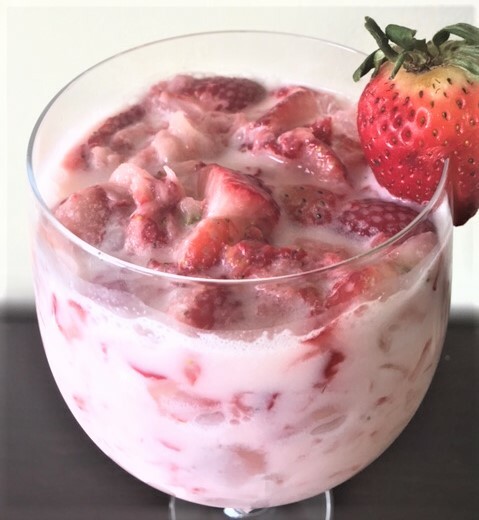 For 2 drinks on the rocks: In a shaker or large jar, add tequila, margarita mix, cream of coconut and crushed strawberries. Give it a good shake. Add the heavy cream or half n half. Shake again. Dip the rims of 2 glasses in water or lime juice and then kosher salt and or shredded coconut. Fill glasses with ice and pour the drink over the ice. Garnish with a lime wedge or a strawberry.